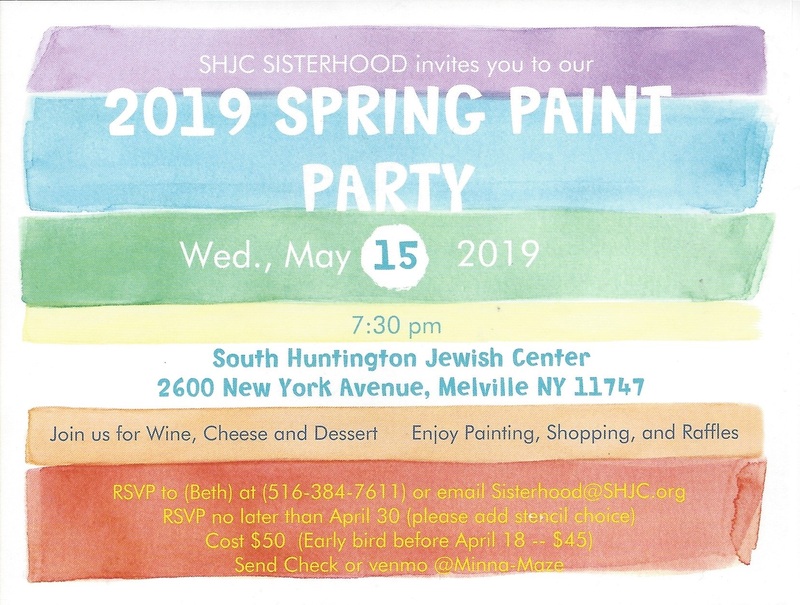 Sisterhood is hosting a spring paint party on Wed, May 15, 2019 at 7:30 PM. 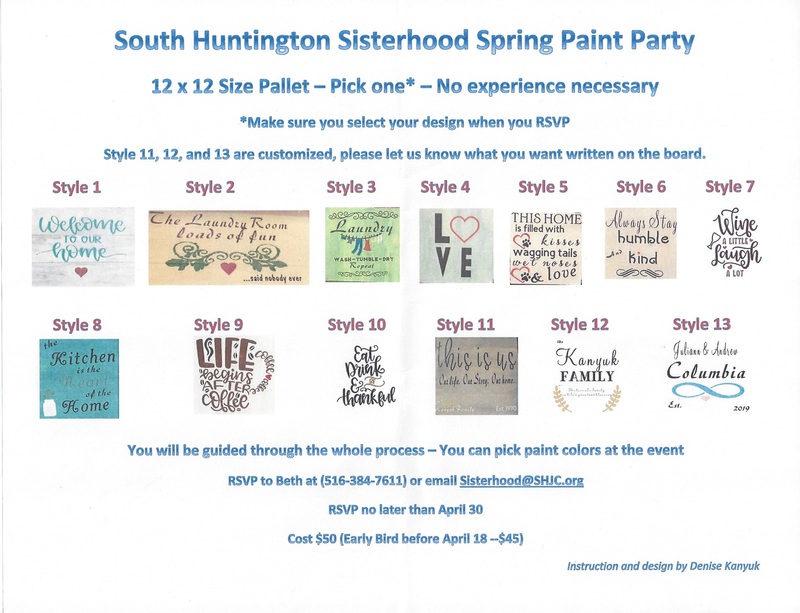 Enjoy painting, shopping and raffles. Join us for wine, cheese and dessert. Cost $50, early bird $45 before April 18.